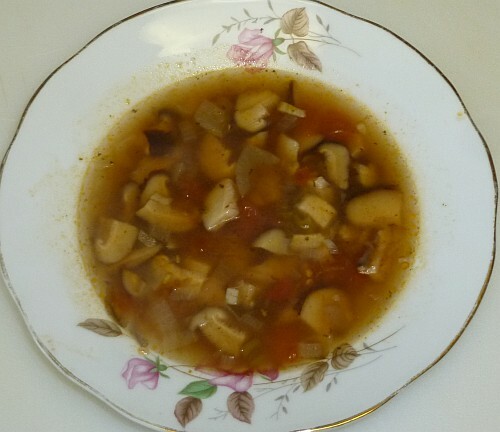 Mushroom Soup is easy to prepare, and it is a good first course for a meal or the perfect accompaniment for a sandwich. Preparation: Sautée the onion and garlic in olive oil in a 4-quart pot with a lid. 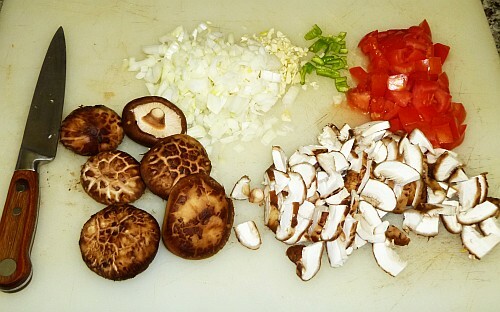 When the onion is translucent, add the rest of the ingredients. Pour approximately 3.5 quarts of water. Cover the pot and bring to a boil. Decrease the heat and simmer for 45 minutes. Season with salt and black pepper if necessary.